Last night, around 11 P.M., Hurricane Harvey slammed ashore between Port Aransas and Port O'Conner as a Catagory 4 Hurricane. The devestaion in Rockport and surrounding areas will not be fully known for days...if not weeks. As of 7:30 this morning, more than 300,000 of our fellow Texans were without power. 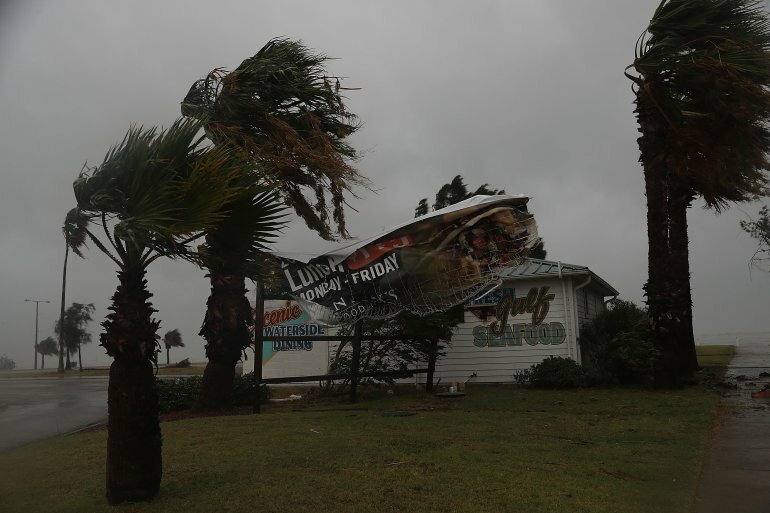 First responders and weather experts monitoring Harvey's landfall reported winds in excess of 130 miles per hour and water surges over 8 feet high. More than a 1,000 residents from the coast have taken shelter in San Antonio and several thousand more have evacuated to other locations. Experts say that the ferocity of Hurricane Harvey will forever alter the coastline of Texas. We face days of high wind and consistent rainfall as Harvey lingers. Many areas will experience disastrous levels of flooding. Homes and businesses will be lost. Some lives will be lost. So how do we respong as the poeple of God? How do we shine the light of Christ into a dark hour? Take time today and in coming days to draw aside in intentional prayer for those most affected by Hurricane Harvey. Pray for those who have lost and will lose their homes, business, etc. Pray for the first responders who will be risking their lives to save others. Pray for the hourly workers and others who will face painful financial hardship and strain due to Harvey. Pray for those who will be left with the significant task of rebuilding. Choose to be the hands and feet of Christ during this difficult time. Help a neighbor who may have a fallen tree or downed fence. Offer shelter to someone who may need a place to stay for a day or two. Provide what resources you can to community shelters. Find out what the Red Cross and other relief agencies may need in the days to come and supply what you can. Do what you can, where you can. Some of you may be retired or have flexible work schedules. Our neighbors on the coast are going to need all the help they can get when the rain stops and the waters recede. There's going to be an overwhelming amount of damage and clean-up to do. There may be an opportunity for some of us to head to Rockport and surrounding coastal areas. Consider going. Even a couple of days can make a difference in the lives of those who've been most affected by Harvey. Be in prayer, be available, and be willing to go if needed. In doing so, you demonstrate the love and light of Christ in a time of darkness and trial. This is who we are. This is The Church. Jesus said that in this life we will have trouble, but take heart, he has overcome the world (John 16:33)! When we choose to be the active presence of Christ during times like this, we become living parables of this eternal truth.